This photograph was taken on a beach on the Firth of Thames, (between Auckland and Coromandel). 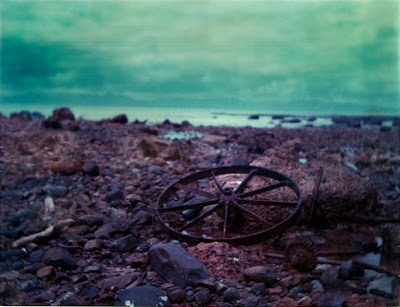 Just a rusted wheel on the beach. Expired UV ID film.